When Brandon Straka created the #WalkAway movement by creating a video explaining why in the last year he decided to walk away from the liberal/Democratic party, he never expected it would blow up, with thousands upon thousands of other liberals offering their testimonies, on video and in social media posts, explaining why they too have decided to #WalkAway. In fact the movement has become so large and talked about that liberal writers are now attacking it with claims that the movement is a "deceptive propaganda campaign," saying that Pro-Trump and Russian-linked Twitter accounts are posing as ex-democrats while calling the WalkAway campaign an "Astroturfed Movement." 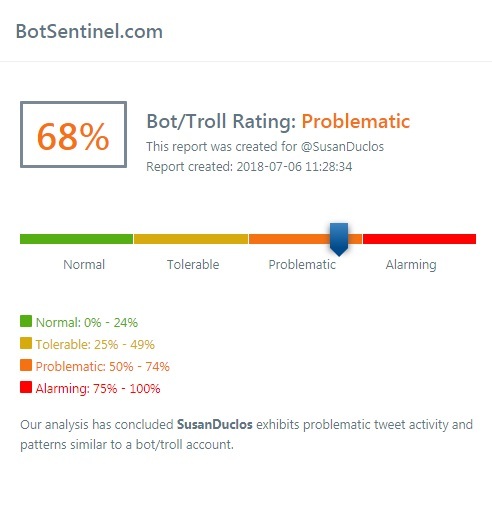 Two of the so-called "tools" the writer, who describes herself as a "feminist" and "Liberal" in her politics, uses, is a site called Hamilton 68 and another that claims it is "bipartisan," called Bot Sentinel. As we have previously reported, Hamilton 68 was created by a group of NeverTrumpers, with claims they track 600 Russian-linked social media accounts, but they have never publicly revealed what accounts they claim are "Russian-linked," nor provide any proof whatsoever that those accounts are bots or linked to Russia. Since we have already covered the suspicious nature of the Hamilton 68 website, created after Donald Trump was elected as President, by as I said, NeverTrumpers, I decided to check out the other "tool" used by the liberal feminist writer to attempt to discredit the #WalkAway movement, and found that....... I am a bot/troll. I went to the site, used their "check user" function, slapped my own Twitter handle in and they informed me my account "exhibits problematic tweet activity and patterns similar to a bot/troll account." What do I do that is so problematic? I share conservative news, I call out CNN for #FakeNews, use the #Maga hashtag when sharing ANP articles for promotional purposes, and sometimes will call out someone for threatening children of conservatives, or respond to a liberal politician when they attack conservatives. I am not the only real person being labeled a bot/troll either. 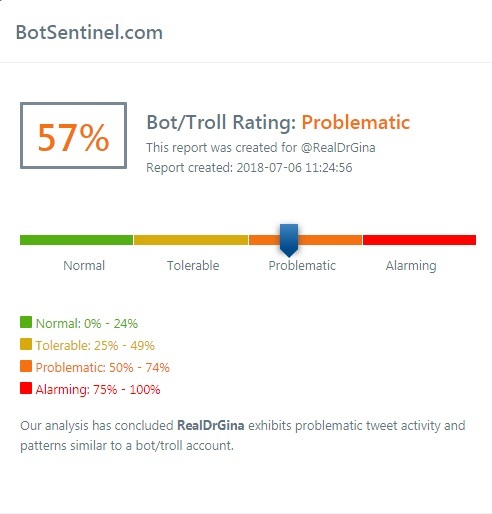 I chose someone pretty popular, a Fox news commentator, Dr. Gina Gentry Loudon, a Trump supporter who has a verified Twitter account since 2009, with over 117K followers and found that she is also labeled a bot/troll which "exhibits problematic tweet activity and patterns similar to a bot/troll account." I tested a whole host of others and lo and behold, a ton of MAGA supporters, some blue checked, some who have been Twitter users for many years, are all being labeled as bot/trolls. The majority of them have one thing in common... they are conservatives. So, I decided to delve a little more into the Bot Sentinel website, especially their category listed as "fake news," to find that Drudge, Sarah Sanders, Hannity, Laura Ingraham, Tucker Carlson, President Trump, his son Don Jr., his 2020 campaign manager, and a many others on their 7 pages of "fake news" accounts, are all being labeled as fake news by the website. In the video below, I walk us through the site and some of the people listed as fake news, as well as show some examples of tweets made by those the site considers bot/trolls. New "tools" like Hamilton 68 and Bot Sentinel have only one purpose, a method to discredit conservatives ahead of the midterm elections, but more importantly, ahead of the 2020 presidential election. It is no coincidence that these websites were created by NeverTrumpers (Hamilton) and Hillary Clinton supporters with an extreme anti-Russian bias, such as the Bot Sentinel website creator Christopher Bouzy. Let me show you how Bouzy connects his dots. 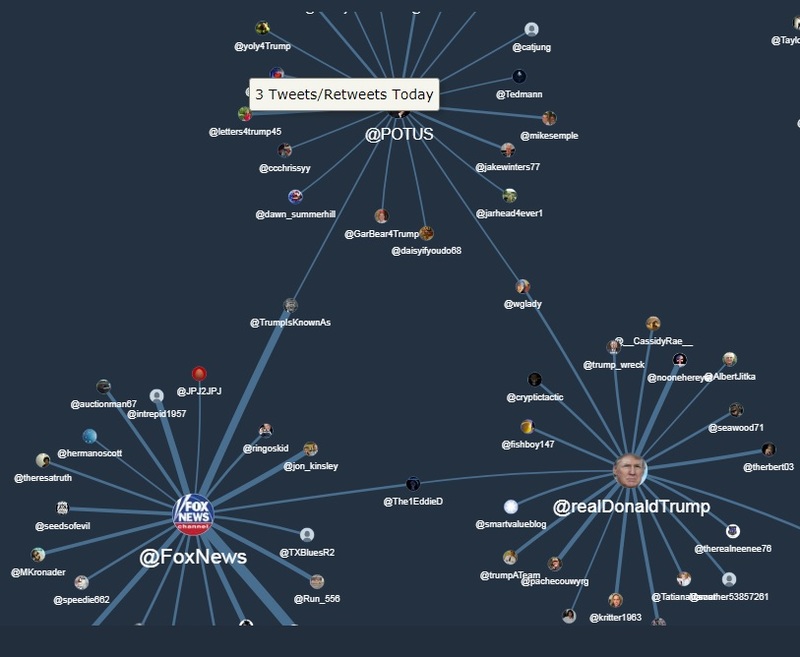 He "trains" an algorithm to highlight "behavior" he wants it to label as a bot and/or troll, then once he labels those accounts as such, he then tracks how many times they "retweet" certain people like Fox News or President Trump, then he claims they are part of a "bot network." Does anyone really believe that bots never existed on social media until the 2016 presidential election where so-called conservatives that described themselves as "NeverTrumpers" and Clinton supporters, including the liberal Mockingbird Media, failed to influence voters? Is it a coincidence that these "tools" created by the same aforementioned groups are now targeting conservatives accounts and MAGA supporters and quoted by the same liberal media calling us bots and trolls? Since the 2016 presidential election Trump supporters, MAGA proponents, conservatives, and websites that fought hard to oppose a Clinton presidency, have been labeled as Fake news, Russian propaganda, attacked via social media, shadow-banned on Twitter, censored on Facebook, with many videos demonetized by Google's video platform Youtube and downranked by Google in their search results. These so-called "tools" are nothing more than part of the campaign to take control back of the information flow, to discredit those they cannot silence in preparation for the next set of elections. 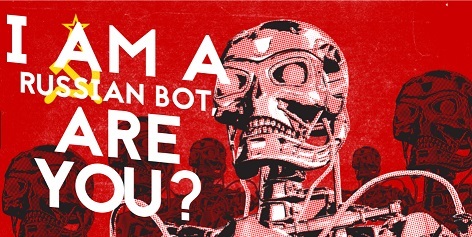 Related: I Am A Russian Bot, Are You? The #WalkAway movement is powerful, with former liberals explaining what it is about the Democratic party these days that are making them #WalkAway from the party, the censoring of free speech, the attacks on political opponents, the encouragement by Democratic politicians like Maxine (Mad Max) Waters to harass members of the Trump administration, the constant attacks by the media on Trump supporters, labeling them Nazis and racists, and these messages as well as the #WalkAway movement have gone viral. That is the reason these bogus "tools" with algorithms created by a Hillary Clinton supporter or self-identified Trump haters, are being created so that the liberal media can highlight them as some type of "proof" that there is an influence campaign and of course, Russia is always the bad guy in their scenario. The fact is every country has always "meddled" in other countries elections, whether it is via social media, or with financial support, and another fact is the U.S. historically has done it moreso than other countries, by "rigging polls, supporting military coups, channeling funds and spreading political propaganda in other countries," but only now are liberals worried about it, after the MSM lost control of the narrative and after Donald Trump defeated Hillary Clinton. Beware of any "news" report which cites either Hamilton 68 or Bot Sentinel. 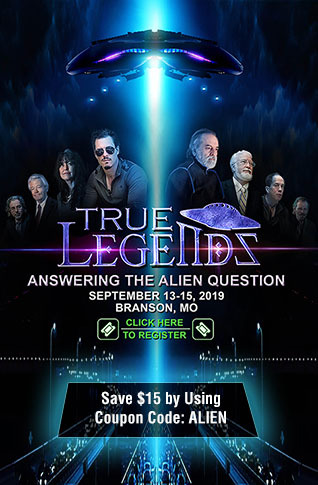 Research who is behind these sites and when they were created, and look at who they are targeting.